Both the Lion Air jet, which crashed in October, killing 189 people, and the Ethiopian Airlines aircraft, which went down on Sunday, leaving 157 people dead, were fitted with the system. The US Federal Aviation Administration (FAA), while noting the similarities between the Lion Air and Ethiopian Airlines accidents, stressed that it was too early to draw any conclusions. Pilots flying the same Lion Air plane the previous day had managed to override the automated flight control system. Boeing came in for some criticism after the Lion Air crash for allegedly failing to adequately inform 737 pilots about the functioning of MCAS or provide training about the system. 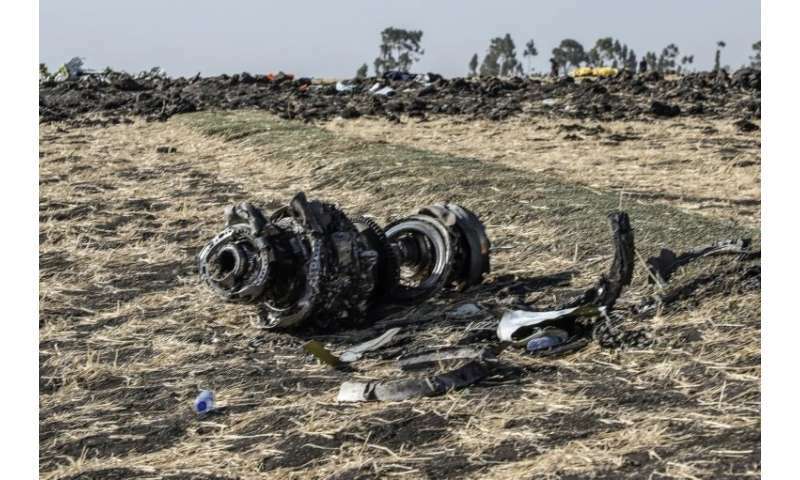 The US aircraft manufacturer issued a statement on Monday saying it was too early to understand the cause of the Ethiopian Airlines accident. Boeing also said it was working on software updates to the MCAS system which would be deployed across the 737 Max fleet. It said procedures already exist to "safely handle the unlikely event of erroneous data coming from an angle of attack (AOA) sensor," the suspected cause of the Lion Air crash. "The pilot will always be able to override the flight control law (MCAS) using electric trim or manual trim," the aircraft manufacturer said. A growing list of countries have grounded their 737 Max aircraft after the two deadly crashes in just five months. But not since the 1970s—when the McDonnell Douglas DC-10 suffered successive fatal incidents—has a new model been involved in two deadly accidents in such a short period. The wreckage was barely even ambient temperature and already people are ascribing this to the causes of the previous accident. I know how it looks. But until the investigators start piecing together what happened from the flight data recorder and the cockpit voice recorder, we won't know for sure. Maybe they should check the safety records and not fly aircraft that have problems. DS, these are the newest planes in their class being sold by Boeing. The 737 is about the same as the Airbus A380 and compete for both sales and routes. Maybe you should check some facts and not soil the forum with the shite that's between your ears. It's not the planes that have too much complexity, it is the overly bureaucratic and over-employed corporate body behind them that is at fault. I have a bubble-level app that carpenters can use that I downloaded to my smart phone (Xperia XA1), and it works flawlessly. Something simple like that could easily be adapted to an autonomous plane leveling system and I am sure that plenty of thinkers at Boeing are completely aware of this, but well, you know, you work with what you have to work with, which is a bunch of greedy corporate hounds, who never study a design schematic, all stepping over each other to get noticed while trying to run the show their way. That's the problem with corporate America right now. When the body of politicians and congress people that supposedly run the country is dysfunctional, it just trickles down. I mean, it was the absolute worst Rose Bowl parade I ever saw on TV!